Born on January 5th, 1876 in Cologne, died on April 19th, 1967 in Rhöndorf. First chancellor of the Federal Republic of Germany (1949-1963). He did not just want to live his life, he wanted to change things. Therefore, as a young man, he tried his hand at inventions. But his light-emitting darning-ball or his soy-sausage did not meet with acclaim. Later, as mayor of Cologne, he demonstrated to those officials who needed authority qua office how much they could accomplish by convincing the people whose votes they needed to share their political views. F rom 1921 to 1933 he was a member of the Prussian Staatsrat (central organ representing the diets of the Prussian provinces) and became its Speaker in 1928, an office without political power. After the end of the Nazi rule he recognized his historical chance and determinedly reached for power in the newly created Federal Republic. He became its first chancellor and his policies in the years 1949 to 1963 never wavered in their clarity. He supported the social market economy (Soziale Marktwirtschaft) represented by Ludwig Erhard, and in internal State policy he allowed the traditional social forces such as the churches, the trade unions and associations develop unhindered. His foreign policy was unerringly aimed at the integration of the Federal Republic of Germany into the western, USA-led free and democratic world. In this world Germany was to become an emancipated partner. That meant, as history had taught Germany through much suffering, that it had to become an absolutely reliable and trustworthy partner. 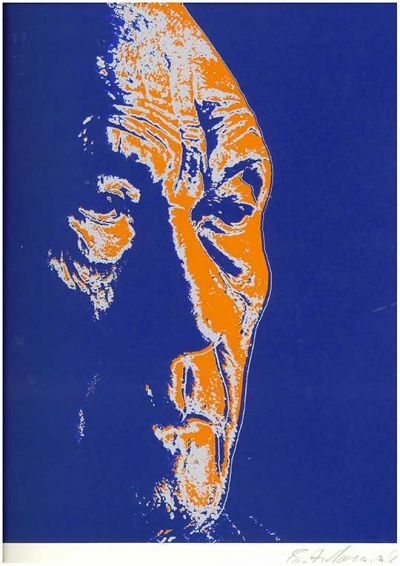 That was one of the reasons Adenauer refused to accept Stalin's offer to initiate talks with the Soviet Union about a neutral reunified Germany. He remained firm in this belief and sought to prevent even the suspicion that Germany might become unreliable. For him the essential steps to mitigate the devastating consequences of Nazi rule for Germany were a permanent understanding with France, with Israel, the newly founded state of the Jews, as well as with Germany's eastern neighbour Poland, which however at that time still belonged to the Soviet empire. The peaceful reunification of Germany remained his main aim, though he was realistic enough to see that this was not to be accomplished without the Soviet Union's consent. The precondition for this, he believed, was the abolishment of the ideology of the international dictatorship of the proletariat under the leadership of the Marxist-Leninist party. This, again, could only be achieved by a strict adherence of the West to liberty, democracy and rule of the law. Sooner than expected history proved him right to an astounding extent. 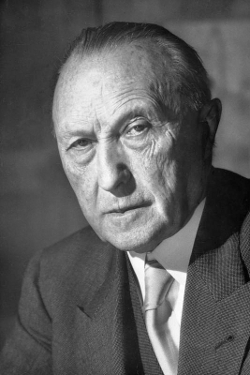 In a poll conducted by the Second German Television (ZDF) asking who was the greatest German, a majority of those surveyed chose Konrad Adenauer, who once said: "It is my desire, once people are able to see through the fog and dust of the present, that it is said about me that I have done my duty."